Budget 2019 was critiqued by Opposition Leader Mahinda Rajapaksa yesterday as an effort to win votes by increasing public sector salaries and expanding the number of Samurdhi recipients, and warned it would only lead to missed deficit targets. Slamming the Budget, which was passed in Parliament last week, as full of short-term policies, Rajapaksa insisted increased public expenditure would lead to more debt, which would have to be met with higher taxes. Rajapaksa argued that any increases of salary and other perks proposed by the Budget would be short-term, as they were locked between a weaker rupee and higher taxes, which would not provide long-term benefits to the public. “When Government salaries are increased, and various other concessions given, it may give the recipient the feeling that he has got something. But very soon, he finds that whatever is given by this Government with one hand is taken away by the other. 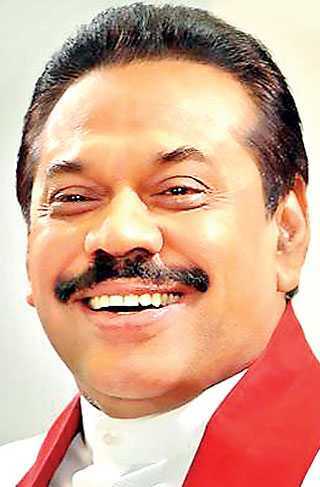 Due mainly to excessive taxation and currency depreciation, any salary increase given by this Government disappears almost immediately,” Rajapaksa said in a statement. Rajapaksa pointed out that the Rs. 2,500 salary increase for Government servants, extension of Samurdhi to an additional 600,000 families, and pension hikes, were all targeted at getting votes. He said existing Samurdhi beneficiaries were allowed to withdraw up to Rs. 30,000 in two instalments this year from their accumulated funds in the Samurdhi Banks, as spending money for the New Year and Christmas. “The Government seeks to justify extending Samurdhi benefits to an additional 600,000 families on the grounds that ‘deserving families’ had been kept out of the scheme for political reasons. It appears that the Government suddenly became aware of that alleged long-standing injustice only after ruling the country for over four years. The rhetoric of the Government makes it obvious that the additional 600,000 Samurdhi recipients will be selected on political criteria, for reasons more to do with elections than with poverty alleviation. There is an inherent contradiction in the Government claiming on the one hand that poverty has been reduced, and then increasing the number of Samurdhi recipients by over 40%,” the statement added. Rajapaksa argued that the purpose of having compulsory savings for Samurdhi recipients is to encourage the savings habit, and to enable them to utilise that money for self-employment and other livelihood related activities. Salary and pension increases, as well as the new Samurdhi recipients, will result in an increase in Government expenditure, which would be unsustainable. He also contended that the steep currency depreciation led to an increase in imports in 2018, which did not take place when he was President.